One of our readers turned up this photo on the Qatar Rides Facebook page and, like a train wreck, we just can't look away. 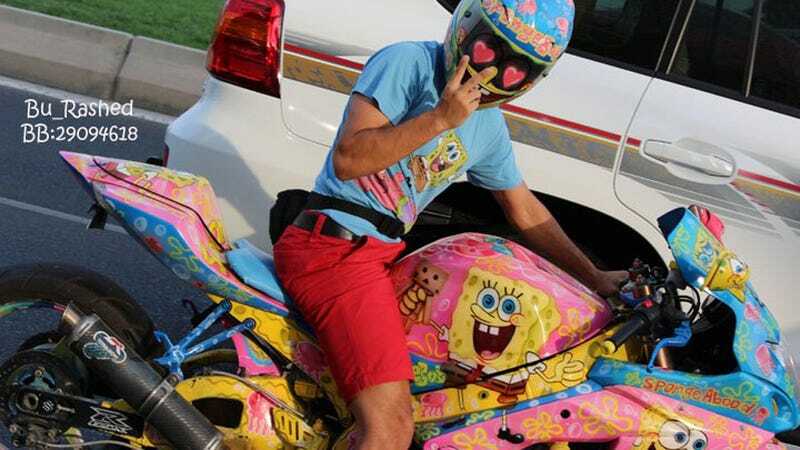 Spongebob donks and bikes have been a big thing in the South for a couple of years now, and we're more than excited to see the trend hitting Corniche, Qatar and going global. Heart stickers on your visor are the new glitter on your sunglasses.